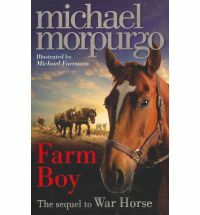 There are now about 130 Michael Morpurgo books for children, ranging from picture books for younger children to novels aimed at young teenagers. 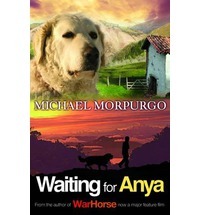 Michael Morpurgo is an English author who was born in 1943. He studied English and French at London University and then worked as a teacher at a primary school in Kent where he began telling his students the stories he'd made up for his own children. His students loved the stories and Michael loved telling them and it was then that he decided that he wanted to write stories for children. 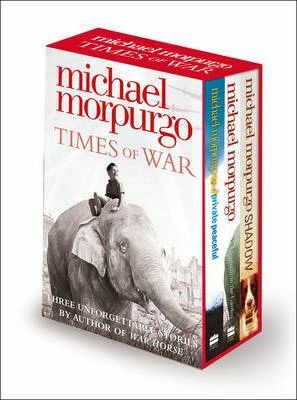 Many of Michael Morpurgo's books incorporate historical elements and these are the books I love the most. For example, he's written several books set during World War I and others set during World War II, War Horse being probably the best-known book. 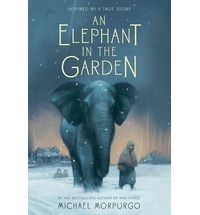 I always think it's the measure of a really wonderful children's book if adults enjoy it too and, for me, Michael Morpurgo's books pass this test with flying colours. 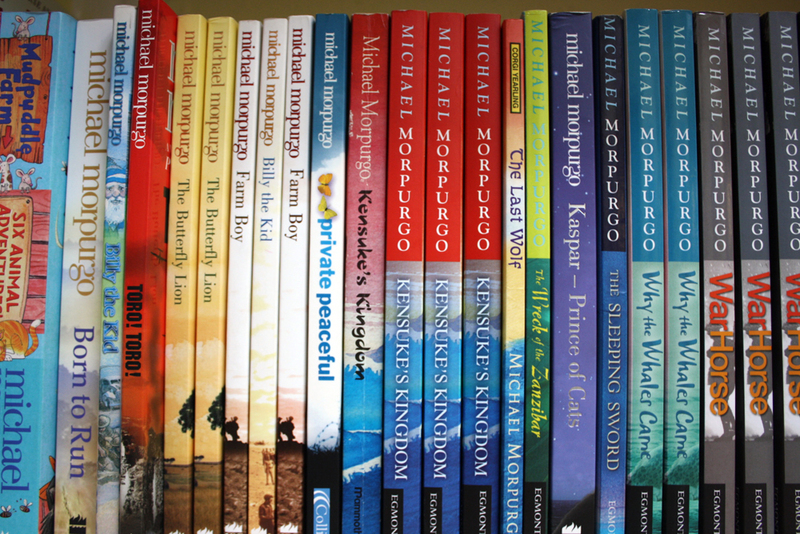 On this page, I review some of the most popular Michael Morpurgo books. They're books I've read to children or read and enjoyed myself and many of them are about periods or events in history in which I have a particular interest. As a general guide, the books on this page are suitable for young people aged from about nine years up. 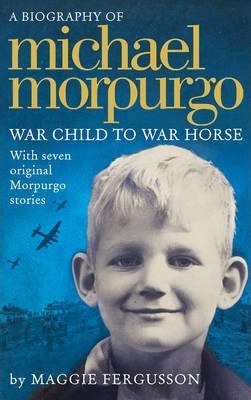 Click here to read more about Michael Morpurgo. Michael has now written over 130 books for children so here I'm reviewing only a selection of them. These are the most popular ones which are especially great reads for 10-14 year olds and, of course, for reading aloud to younger children. 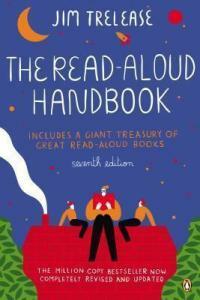 Try them as read-alouds for 8-10 year olds. Aman and his mother are living in a cave in war-torn Afghanistan when a sick, injured dog appears. Aman is wary at first but the dog becomes his constant companion after he nurses him back to health. As life in Afghanistan becomes more dangerous, Aman, his mother and Shadow embark on a treacherous journey from war-torn Afghanistan to the safely of a relative's home in Manchester, England. This is a great story of courage, love and hope which introduces readers to the experiences of children living in war-torn countries and the fears and dangers they face. It also offers insight into the lives of refugees who must leave their homes in an effort to find a safe place to live and is a great introduction for children to some of the issues around this. This book introduces readers to World War I and the horrors of trench warfare via the experiences of Joey, a beautiful bay-red foal with a distinctive cross on his nose. In 1914 Joey is sold to the army and is then thrust into the middle of the war on the Western Front, leaving behind Albert, the farmer's son whom he loves dearly and who loves him. With his officer, Joey witnesses the horror of the battles in France but his courage touches the soldiers around him and he is able to find warmth and hope in the midst of the horror. One of the many great things about this book is that Joey at different times spends time with French civilians and with the German and English armies so young readers get a sense of how the war was for these three groups of people. This is the book that was made into a film and then into a highly-successful stage play. This book is set in a mountain village called Lescun in France during World War II. It tells the story of Jo, a young boy who finds out that a reclusive widow who lives in his village and her son-in-law, Benjamin, are hiding Jewish children and helping to smuggle them away from the Nazis over the mountains near the village. When German soldiers start patrolling the mountains, Jo realises the children are trapped and he's determined to help them escape. Early in the story, Jo learns that Benjamin was separated from his daughter in Paris and is waiting for her to come to the village where they agreed to meet if ever the war separated them, hence the title of the book. 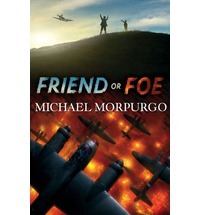 This a story of courage and compassion and it makes a great introduction to World War II for young readers. This story about the First World War is told in the voice of a young soldier, Private Tommo Peaceful, in a series of flashbacks. The story follows 24 hours in his life at the front as he remembers his life at home in the village where he grew up and his relationship with his two brothers, Charlie and Joe, and with Molly, the girl he loves. This is a moving and engrossing story, which mixes joy and tragedy in equal parts and is, in many ways, an anti-war book. As it unfolds, the reader begins to understand a lot about the war and the horrors of the trenches, leading many young readers to think about why we have wars and what we can do to stop them. The book is suitable for ages 10 and up, including adults. I really loved it. This is the story of Lizzie and her mother and brother who escaped from Dresden after it was bombed by the allies in World War II. Lizzie's mother had worked at the zoo in Dresden where her favourite animal was a young elephant called Marlene. When the zoo director tells her that the dangerous animals - including the elephants - must be shot before the town is bombed, Lizzie's mother takes Marlene home. When the family has to leave their home, they take Marlene with them as they walk to safety. The story is told by Lizzie as a very old woman to a little boy and his mother. This book reminds me of the story of The Zookeeper's Wife, a film I saw recently and really loved. The Zookeeper's Wife is based on a true story, though the events took place in Poland, rather than in Dresden, so I wonder if Michael Morpurgo based his book on the same story. This is the story of 11-year-old George who has lived in a children's home since he was three. 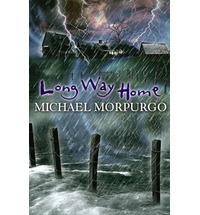 Every summer George is sent to stay with a different foster family, none of whom really want him, so when he is sent to stay at a farm for the summer he makes up his mind to run away, back to the children's home. But little by little George begins to feel at ease with Tom Dyer and his sister, Storme, who live at the farm and he changes his mind about running away. This is essentially a story about orphans, family, love and belonging and, ultimately, about finding a place to call home. 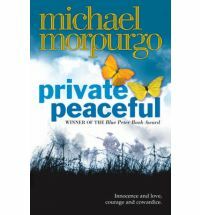 George is a character who's very easy to sympathize with and Michael Morpurgo does a great job of helping us understand George's feelings. 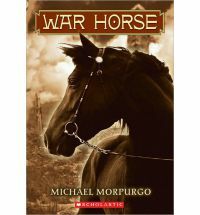 This book is the sequel to Michael Morpurgo's best-known book War Horse. In War Horse, Joey was sent away from the farm to be a war horse in WWI, leaving his beloved owner, Albert, behind. Fast forward fifty years and Albert's son is telling his own grandson Joey's story and the story of how Albert went to find him. But he also tells his grandson a 'shameful secret' which he has held for years. This story is set on a farm in Devon (where Michael Morpurgo lives) and lovingly captures the spirit of rural life and the warm relationship between a grandfather and his grandson. 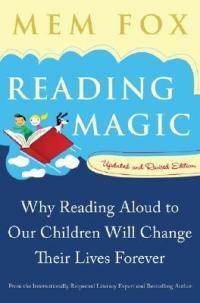 I really loved the 'voice' in this book. 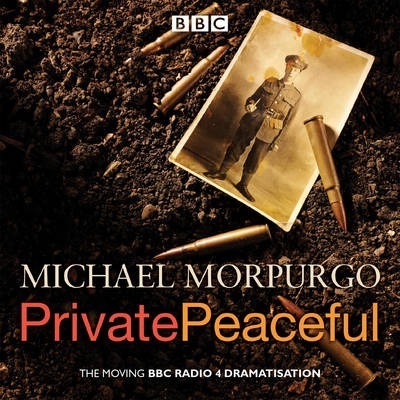 The story is told largely in the voice of the grandfather and Michael Morpurgo has absolutely nailed the gentle, slow way of talking that many older country men have. This gives the book a very authentic feel and makes it beautiful to read. 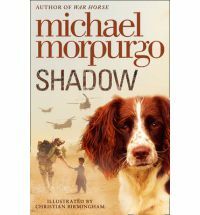 Michael Morpurgo writes a lot of stories set during World War II (he was born in 1943 so he's a 'war kid') and this is another one. It's about two best friends, David and Tucky, who have been evacuated from London to protect them from the bombing. The boys are placed with Mr and Mrs Reynolds, a kind couple who live on a farm in the Devon countryside, and they quickly get used to their new life. Then one night the skyline is lit up with gun flashes and the distant sound of bombing brings the war back to them. When David and Tucky discover that a German bomber plane has crashed on the moors, leaving two airmen stranded, they are faced with a dilemma. They feel they should hate the airmen but then one of them saves David's life and the boys begin to see the airmen as human beings just like themselves. But how far should they go to help them?